Our Grand Thailand birding tour features many of the best birding sites in northern, central, western, and southern Thailand. The tour is likely to record over 500 species in 3 weeks. The best time to take this tour is from December-March when wintering migrants from the north are present. April is also an excellent month as migrants from the south are still moving through while broadbills, pittas, woodpeckers, and many other species begin nesting and become easier to see. Accommodations include western-style hotels, Thai-style hotels, and two nights of tent camping with meals provided by the park ranger's wife (at Mae Wong). Upgrades are possible in some areas at additional expense. Tent camping can be avoided by staying at a hotel in town, which precludes night drives for mammals and night birds within the park. The tour begins with a flight to Chiang Mai and transfer to Doi Lang in the far north. Several days are spent birding mountainous forests and roadways in Doi Lang, Doi Ang Khang, and Doi Inthanon National Parks. The tour then proceeds south to dry Dipterocarp forest of Mae Ping and lush montane forest of Mae Wong. From there an overnight stop is made at Nakhon Sawan in central Thailand for lowland open country birding along with a boat trip on Bung Boraphet reservoir. Continuing south, the tour visits wetlands, salt ponds, and coastal beaches and mudflats to pick up wintering shorebirds, most notably the endangered Spoon-billed Sandpiper. Numerous other wintering shorebirds are present from November-March. From there the tour goes west to Kaeng Krachan National Park where specialties such as the highly localized Yellow-vented Pigeon and Rusty-cheeked Hornbill await. The tour proceeds farther south on the Thai peninsula, covering Wat Khao Luk Chang, Chumphon, Krung Ching, Phang Nga, all featuring southern species not present farther north. 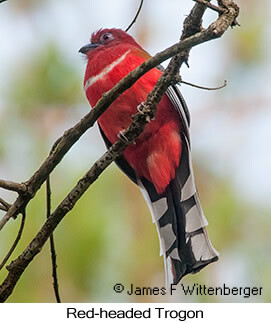 Highlights include a variety of broadbills, barbets, and pittas as well as bulbuls, babblers, and more. The tour concludes with a flight back to Bangkok from Krabi. 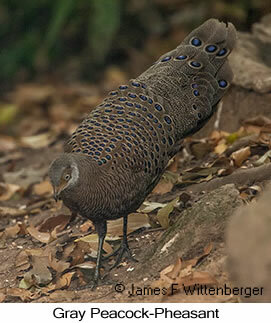 Tour price is based on accommodations near birding sites, mainly Thai-style hotels with tent camping in Mae Wong. Utilizing western-style accommodations can be arranged but will result in a higher price and some changes to itinerary.